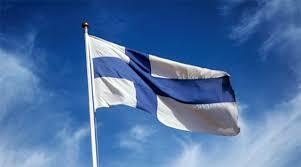 Today we welcome the strong & great TEAM FINLAND with their best senior & junior swimmers! At EC shortcourse in Copenhagen the Finnish Team conquered two silvermedals by the fantastic breaststroker Jenna Laukkanen. In the team we also hope to see the fast sprinters Mimosa Jallow and Ari-Pekka Luikkonen beside the other great Finnish swimmers . We are very happy to again have the great Finnish Team at Swim Open Stockholm - Tervetuloa Suomi!